Dr. Bucshon Attends Ribbon Cutting for the Stone Family Center for Health Sciences | U.S. Congressman Larry Bucshon, M.D. “The generosity of William and Mary Stone, and all those who donated to the project, will be remembered by the generations of students who will walk the halls of the Stone Family Center for Health and Sciences. 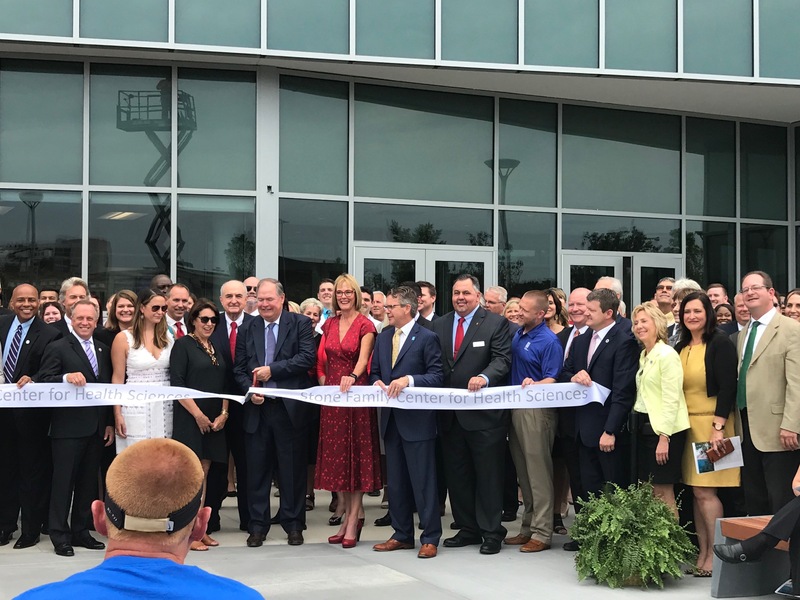 The city of Evansville continues to be a leading beacon of educational opportunity, and this addition will serve the students and community for years to come. Good luck to all students from IU Evansville School of Medicine, University of Evansville, and University of Southern Indiana who will lead the next generation of health discoveries."